The MZES is an interdisciplinary research institute of the University of Mannheim. In close association with the Department of Social Sciences, it has dedicated itself since its founding in 1989 to the investigation of political and societal developments in Europe. Its focuses are on comparative research on Europe and the exploration of the European integration process. Research activity is supported by a well-established infrastructure, which includes the Europe Library, the data archive Eurodata and Archive for Information on Textual Sources in an integrated OPAC. 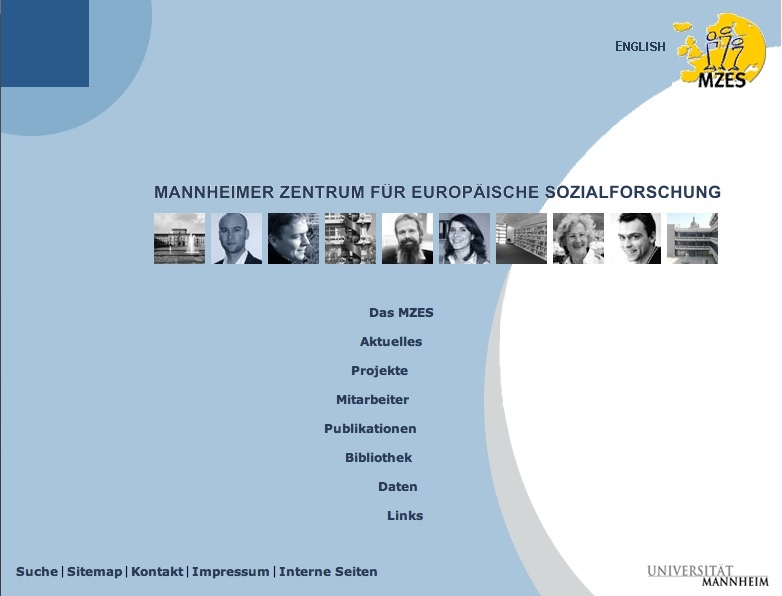 MZES supplies comprehensive basic information as well as numerous databases for research on Europe. Completely free of charge, this large material collection includes working papers and historical datasets (such as the Mannheim Eurobarometer Trend File and detailed analysis on political leaders and democratic elections), with access to article abstracts and book reviews, full-text annual reports, news on recent lectures and events. Well designed and organized, the site interface is provided both in English and German, with an overall navigation quite easy and intuitive, including an elaborated search facility providing users with multiple options.